RS Components (RS) has expanded its range of IO-Link compatible hardware and ancillaries, more than quadrupling stock of IO-Link compatible devices over the past six months. IO-Link, the first standardised IO technology (to IEC 61131-9) for communication with sensors and actuators, will play an important part in the growing creation and adoption of fully connected solutions based around Industry 4.0 and the Industrial Internet of Things (IIoT) concepts. Although the concept is very simple, IO-Link represents a huge milestone in sensor technology for industrial customers. Machine and panel builders, designers, research and development engineers and maintenance personnel will all gain from its flexibility and its standardisation on M5, M8 and M12 connectors. The majority of IO-Link devices are equipped with M12 connectors, which can be used without any restrictions for IO-Link's switching mode and communication mode. Created by leading sensor manufacturers – including SICK, OMRON, ifm technology, BALLUFF, Baumer, Rockwell Automation and Pepperl + Fuchs – IO-Link’s point-to-point communication (which is Fieldbus independent) is based on long-established three-wire sensor and actuator connections, without additional requirements regarding the cable material. 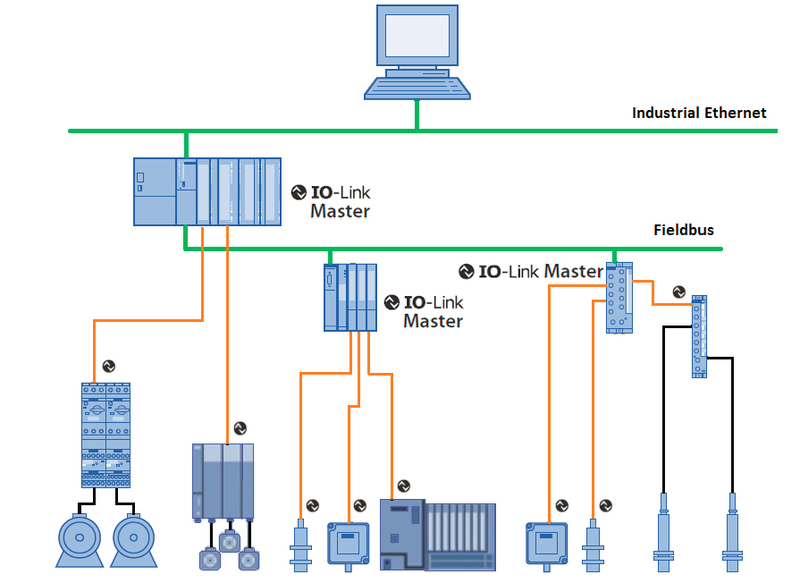 Each port of an IO-Link master is capable of processing binary switching signals and analogue values, with serial IO-Link communication taking place via the same port. Easy wiring, automated parameter-setting and extended diagnosis add even more functionality to the impressive mix of capabilities. All of these features combine to deliver multiple benefits, including reduced design and installation efforts and costs, reduced complexity, enhanced design flexibility, and standardisation of cabling and interfaces. Of particular importance to the IIoT-based smart factory approach, IO-Link sensors can be leveraged as an easy and affordable continuous source of information, thanks to the new data-capable connection paths down to the lowest automation level. Primary applications will be seen in motion control, robotics, machine safety and process solutions, among others, across a great many industries, including food and beverage, packaging, assembly solutions and transportation.